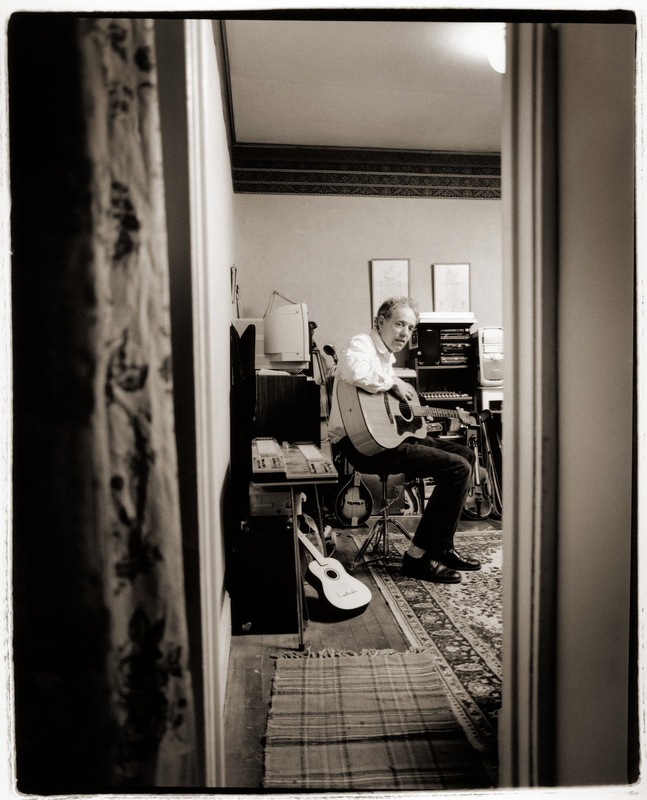 I spent the weekend listening to Linden Hills’ own Bob “Slim” Dunlap and his two solo CDs, “The Old New Me” and “Times Like This,” both of which remain unheard by far too many and are must-haves in any real music lover’s collection. I haven’t sat with his music since Slim suffered a massive stroke in February that left him mostly paralyzed and speaking in a whisper. But hearing his songs and that beautiful Minnesota creek-clear voice ringing out with so much heart and soul made me want to “write down everything you see here,” which is what wheelchair-bound and crippled-but-not Slim ordered me to do in the spring, his big probing brown eyes fixed on mine with everything he’s got. was music, in every sense of the word. I saw something heroic in how he has fought, and in how his devoted and loving wife Chrissie and their three kids have responded to their new lives caring for Slim. I saw the walls of the various hospitals that have housed Slim over the past ten months plastered with posters of Hank Williams and Pete Seeger; photos of his grandkids and other musical heroes, and cards, letters, and good tidings from around the world, including one from Slim’s favorite band, NRBQ. I saw the man laugh, cough, moan, and cry at the mention of a story, game, person, song, drop of hat. I saw him say he wanted to die and live forever in the same breath. I saw my friend at the bottom of well, crying out for relief, redemption, understanding, medicine. I saw him worry about Chrissie, and ask me to take her dancing. I saw him hold hands with friends, silently flip the bird at the television, and maintain a steely will to communicate with visitors real and imaginary. Last week I saw the wheelchair ramp newly installed on the front steps of his home, which sits a stone’s throw away from Chrissie’s beloved refuge of Lake Harriet’s Rose Gardens, Peace Garden and Bird Sanctuary. 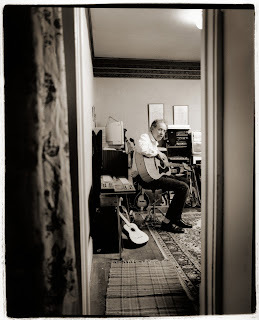 Last Tuesday I saw Slim back home for the first time since February, amidst his guitars, books, photos, and a peaceful healing feeling that only a man’s home can provide. The stay was short, however, as Slim developed another case of pneumonia that landed him in the ICU over the weekend. That’s where he is now, and where he’ll be when a bunch of us get together to sing Slim tunes Friday night in the 7th St. Entry, as part of First Avenue’s sixth annual tribute to The Replacements and “Pleased To Meet Me,” the great Minneapolis band’s majestic 1987 release that saw the departure of guitarist Bob Stinson and the arrival of Slim, whose nickname was bestowed upon him by band leader Paul Westerberg. “Ballad Of The Opening Band” is the lament of every barroom singer who’s ever played to an indifferent crowd (and one more reason so many musicians love Slim), but he sings it the way he tells a story, lightheartedly chortling at some ego-crushing moment or character–testing predicament. The impossibly poignant “Times Like This” has been running through so many people’s heads and hearts since February (“It’s times like this that we know what we really miss”), while the singer in “Hate This Town” wonders at the end of his life if he’s made any difference at all. In Slim’s case, the notion is ludicrous. What I saw – what I continue to see – is that his impact has been profound and inspiring, and will be for many years to come. We are lonesome animals. We spend all our life trying to be less lonesome. And one of our ancient methods is to tell a story. I’ve been a writer and storyteller since I first started keeping a diary in fourth grade, a full-fledged journal in seventh grade (both of which rest next to me on a heap of other writings here in my South Minneapolis basement), and since then it’s been an open spigot of poems, journalism, books, songs, and much midnight and early-morning scribbling that, apparently, is not about to leave me alone anytime soon. I’ve had this condition for a while now. When I was 16, I gave a speech to a room full of parents, teachers, and fellow students at a speech contest (assigned topic: “I’m Only One”) sponsored by the Optimists Club of Minneapolis. I ended up winning the thing, which somehow validated something inside that had been brewing for a while. “I’m alone most of the time,” I told the room, my head down at the podium and reading from a paper that had been typed by my mom, which she did for all six of her kids’ homework assignments – some in French. “I like being alone. Because I think so much, I have to be alone. Aloneness is a clean experience. It’s the feeling you get when you lie by a river fishing, and sleeping. Complete solitude. Not caring what people do to you or think about you. I love that moment more than any other moment my mind knows. Nutty kid. Nutty adult. Not much has changed. These days I’m a 53-year-old modern family man with as much in common with "It's A Wonderful Life" as "Weeds" living as I do in Minneapolis, Minnesota, the epicenter of the free-thought universe and an area of the world so rich in music, art, and ubercreativity it positively vibrates. It ‘s a thrilling, exhausting, inspiring and historic time and place, and I’m happy to be a part of it all. I’m also happy to be here with you. I realize I’m late to the game with this blog thing, but for a long time now I’ve been frustrated with the middleman wall that exists between you and me. I desperately need a place to go deeper, a way to exhale as often or as little as I need to, a canvas on which to exercise what Robert Frost said about the act of writing (“a momentary stay against confusion”), and an intimate safe place where I can put down thoughts, feelings, experiences, dreams, warts, all. named after the sweet Yo La Tengo escape fantasy, although it could just as well be “Action Hero,” after the sweet Fountains Of Wayne escape fantasy. Thanks for reading. Can we just get going please? Copyright 2012 Jim Walsh. Simple theme. Powered by Blogger.